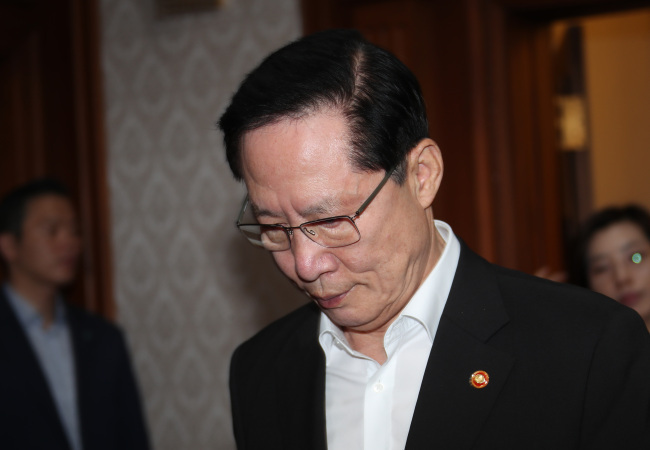 During a meeting with civilian advisers on sexual assault in the military, Song said that women should be conscious about their behavior as he discussed the military’s measures to prevent sexual assault during after-hours office gatherings. Faced with escalating controversy, Song told reporters that his comment was not meant to belittle women, saying he was simply trying to stress the importance of education on sexual assault by citing an example. Song’s remarks came amid escalating controversy over sexual assault. On Monday, an Army division commander was found to have been dismissed for allegedly sexually harassing female soldiers. Song apologized after coming under heavy criticism on social media. He said he was only trying to assure soldiers his speech would be short after arriving late at the mess hall following his tour of the Demilitarized Zone.